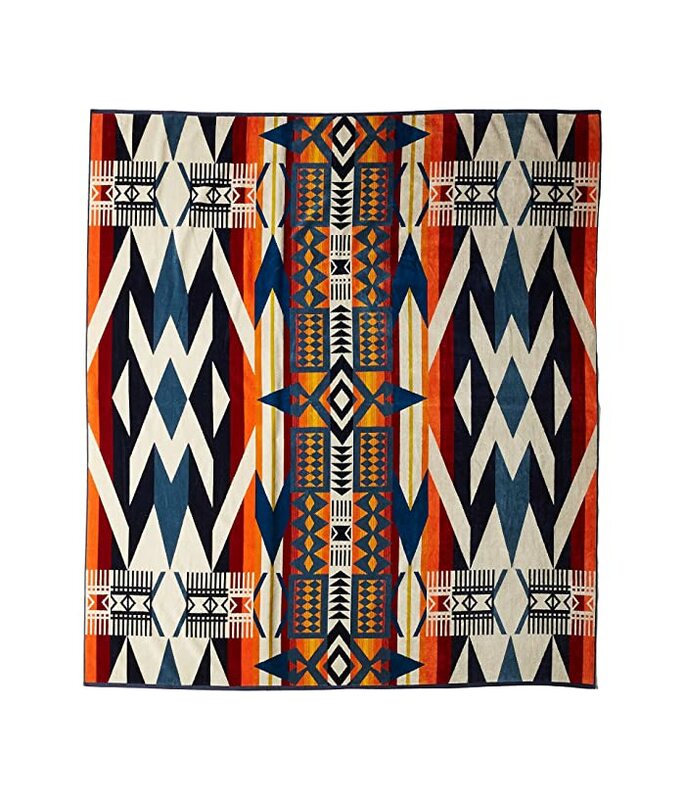 Gear up for the beach or music fest with this Pendleton® towel along for the ride! Two-person towel perfect for on-the-go. Nylon carrier with strap and handle. Choice of two different color combinations. Full of the realistic details of a well-worn boot, this chocolate brown boot toilet brush holder will add western charm to your bathroom. 72” Shower Curtain is machine washable polyester. 3-piece towel cotton towel set includes: 27” x 49” bath towel, 16” x 30” hand towel, and 13” x 13” fingertip towel. Towels and shower curtain are machine washable. Tin wastebasket is wipe clean with damp cloth. Pair this with your flowering field horse shower curtain for a spring time feeling! Pair this with your flowering field horse bath rug for the perfect spring time feeling! This galvanized metal bath hardware is the perfect combination of western and farmhouse style. Collection includes: towel bar, robe hook, towel ring and toilet paper bar. Galvanized star accented with dark twisted metal. Sold individually. Mounting hardware included. Add to your passion for horses with this new bath collection including a rug, shower curtain, soap dish, curtain hook set of 12, soap/lotion pump, bath towels, tissue box, toothbrush holder, waste basket, and tumbler. All sold separately. Update your bathroom with the elegant Sedona 20 Piece Lifestyle Bath Collection. Beautiful pale sienna hues adorn this attractive Southwestern inspired bath collection. Set includes (1) Sedona Shower Curtain; (12) Fabric Covered Rings; (3) Piece Embroidered Sedona Towel Set; (3) Piece Rose Floral Bath Accessory Set; (1) Desert Skull and Floral Bath Rug. Brighten your bathroom with the Mesa 21 Piece Bath Collection. Collection includes: (1) Mesa Shower Curtain, (12) Fabric Covered Shower Curtain Rings, (3) Piece Embroidered Mesa Bath Towel Set, (4) Piece Ceramic Bath Accessory Set, (1) Mesa Bath Rug.